As we drove east this past week I saw a lot of stunning roadside memorials, fresh with Memorial Day decorations: flowers, stuffed animals, pictures, and flags. 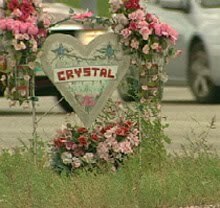 Roadside memorials seem to shout, to demand attention for the dead. But, colorful as they are, I never take photos of them. It seems exploitative, somehow. Intrusive. I’m always tempted, and I know there have been photo books published about them, but they’re so naked with the emotion of the people who build them. I can’t drive past one without immediately wondering about the person or people who died on that spot. Old? Young? Accidental death, or murder, or suicide? 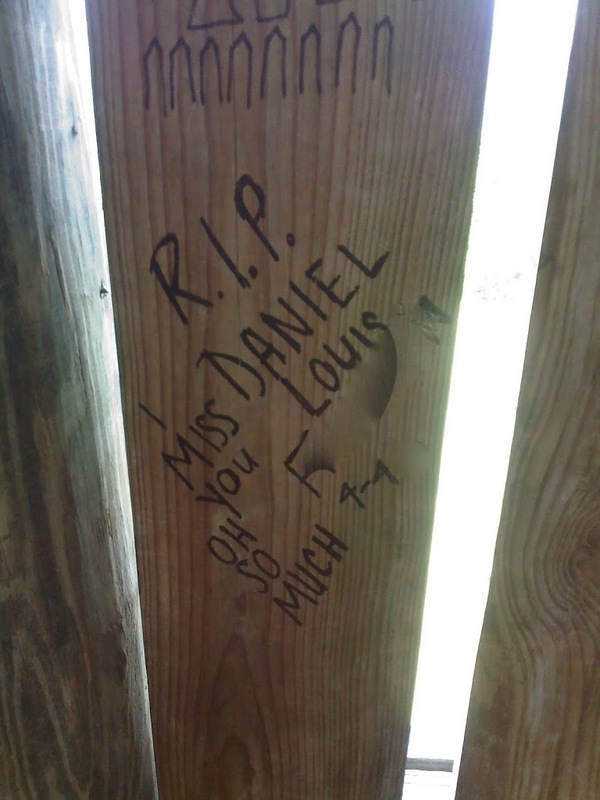 Homemade memorials are so much more compelling than modern cemeteries with their mow-over markers and flower-free vistas. 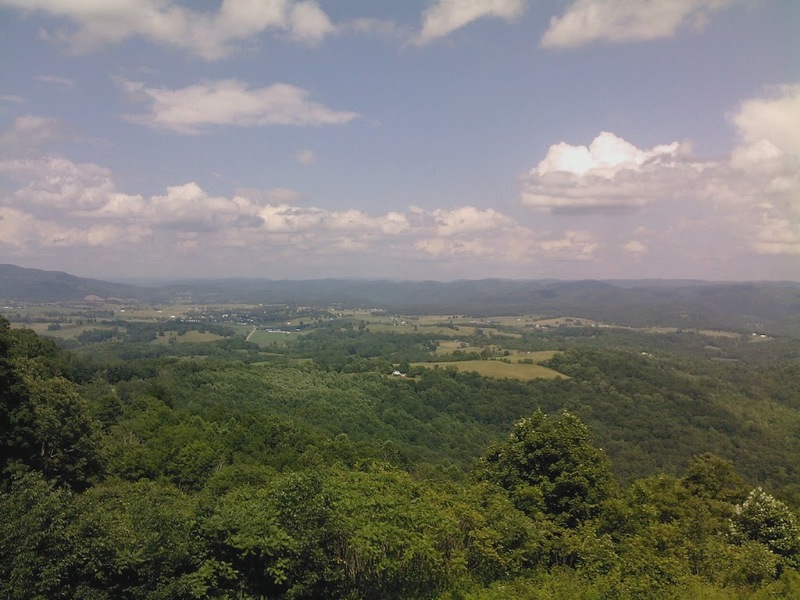 On Wednesday we visited Droop Mountain Battlefield, in West Virginia. (A Civil War battle in which the North kicked the Confederate forces farther South.) 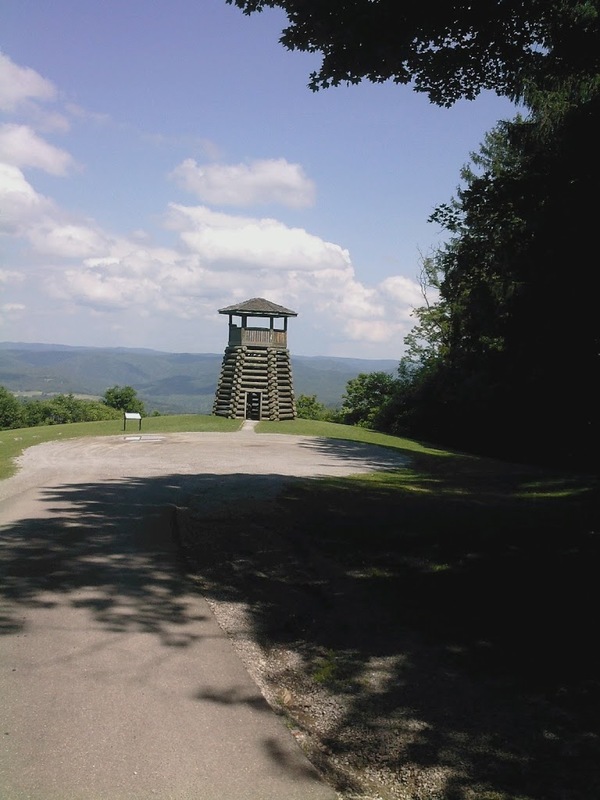 There’s a watchtower on the mountaintop that overlooks the town of Hillsboro. 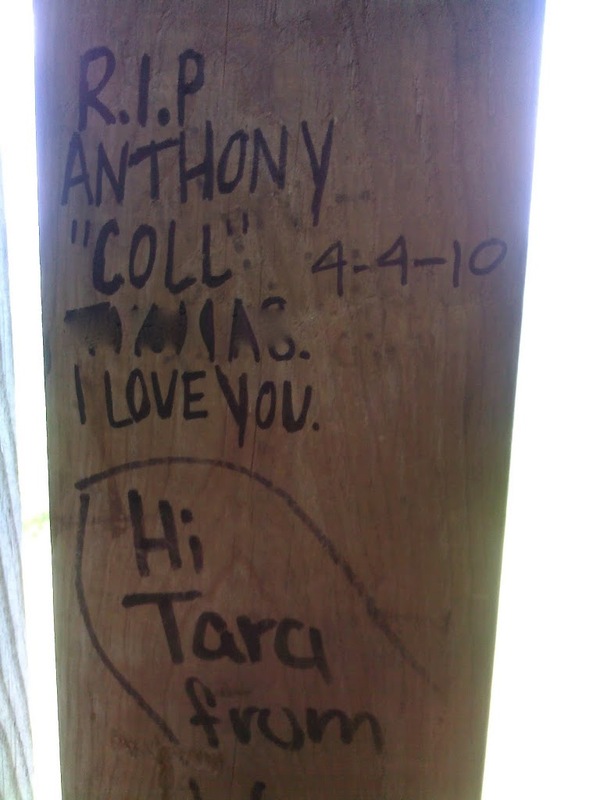 The tower was recently re-constructed, or at least renovated–You can tell because the graffiti dates back only to 2005. 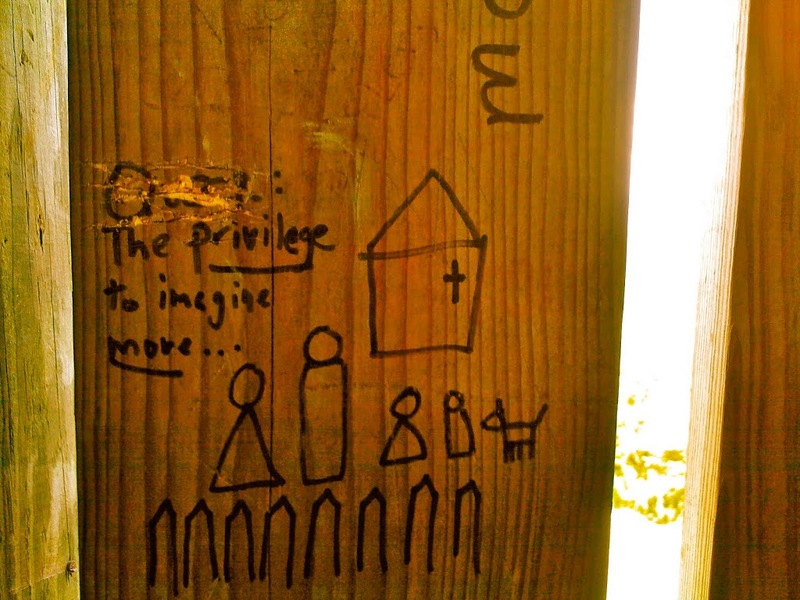 Such graffiti! I’m always puzzled by people’s desire to proclaim their affection for one another by scraping initials and messages into paint or wood or even plastic. 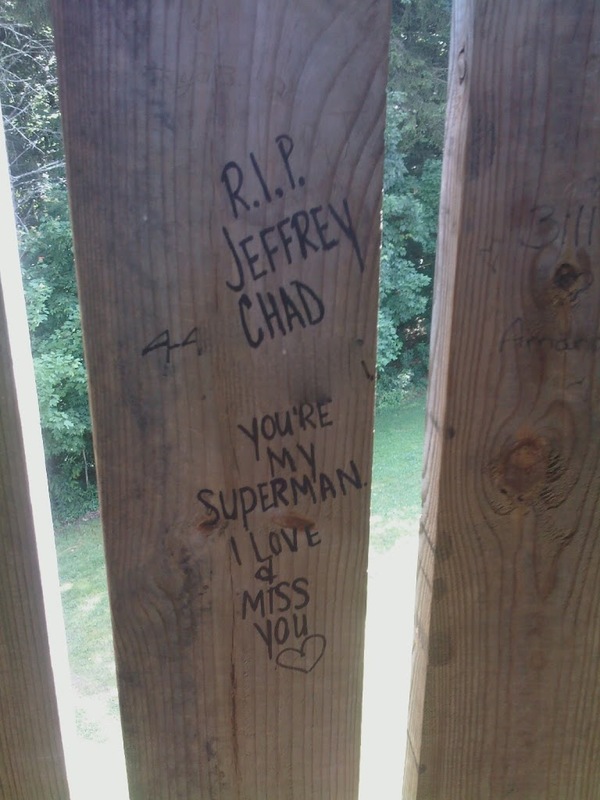 The inside of the tower is filled with the scratches of Heathers and Caseys and Kaylas who claim that they will love Josh or Justin or Jack forever and ever. There was even one person who wrote, “I Love Jews!” A second person replied, “I do too!” in a different hand. I have to give them both extra points for originality. But I was struck by the more poignant messages about death. There were several, all written on the same date. I’ve erased the last names of the people being remembered. I was struck by how the messages are written so boldly on the uprights, as though they’re actual grave markers–the traditional “R.I.P.” as on old-fashioned tombstones. But they also resemble the memorial ads you see in the newspaper classifieds–with their exhortation for the dead to recall some event or special date or reminder of how much they are loved. They must really be for us, I think. We’re called to bear witness to the writer’s grief. Again, so personal, yet how strange it is to come upon such a message in such a public, unexpected place. This is a drawing above one of the names. I don’t know if the two are related. The battle losses at Droop Mountain were fairly heavy, particularly on the Confederate side. As I stood in the tower looking down over the trees and into the valley, I could only think of young men playing their deathly game of hide-and-seek in the brush. They would have been roughly dressed and probably hungry, hunting each other down, sometimes forced to kill a relative or a former friend. The battlefield was the entire mountain, and no one place on the mountain feels frightening or fraught with old tensions–it’s especially true on a day fierce with sunshine and a sweet breeze. But these small, illegal memorials brought home the reality of death in a way the historical markers couldn’t. Despite the sunshine, I left feeling haunted. I’ve always been fascinated by graffiti, not the “Dawn loves Jeff forever” kind you find in bathroom stalls, but the colors splashed on trains and old buildings. I really enjoyed this post. Thank you.